From the beautiful retro-style 500 compact to models as advanced as the 500X SUV, Fiat is one of Britain’s ‘go to’ brands for new and young motorists. While the company has a series of cute city compacts and casual vehicles, the more iconic 124 Spider remains an affordable and widely loved alternative to a petrol heads’ dream racing machine. If good value for money is something you put above all else when shopping the used car market, Fiat is the brand for you! 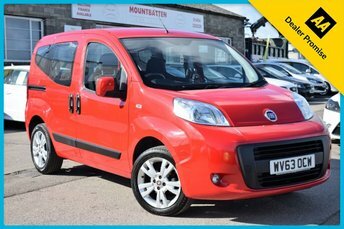 Situated in Gloucester, Mountbatten Car Sales is amongst the area’s leading suppliers of used Fiat cars, with a range that offers a vehicle fit for every buyer; from the neat and compact Doblò panel van to reliable and affordable city runabouts. 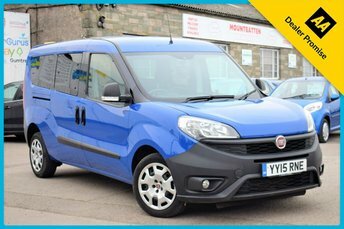 Browse our full range of used Fiat cars for sale here on our website now or head over to our site in Gloucester to search for your perfect used Fiat car in person! Mountbatten Car Sales will go above and beyond to help find a pre-owned car that suits you perfectly.